Glasgow Women’s Library is a lead organisation for a VAF funded new pilot project where partner organisations in a specific ‘cluster’ share the support of a Volunteer Coordinator who is based at GWL. The partner organisations in the cluster are: Move On, Diversity Films and Amina, Muslim women’s support project. 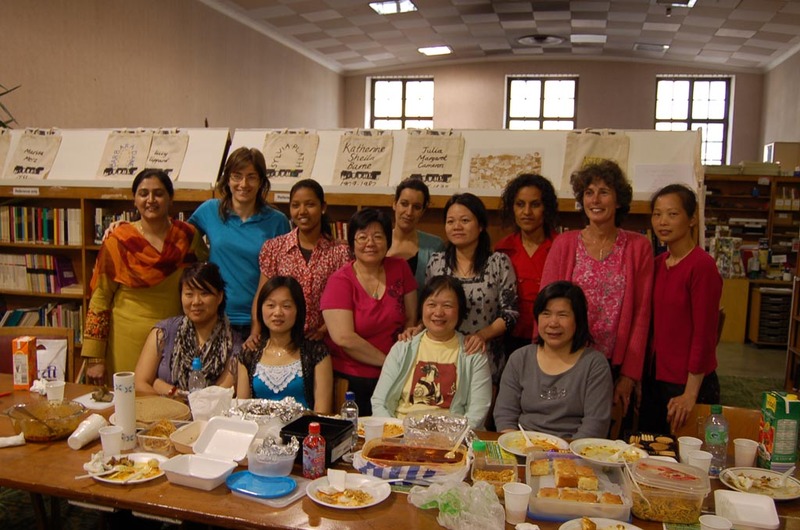 GWL is host to a range of English language (ESOL) courses delivered to groups of women several times at week by Glasgow Clyde College staff in the welcoming environment of GWL. More information about ESOL provision at GWL is available here. GWL is currently working in partnership with Ankhur Productions on the Girl project. This integrated project using song, theatre and photography is based on the memories of the rules mothers give to girls. The Centre for Open Studies has worked in partnership with GWL for the past year supporting the development of new courses hosted by GWL and supported by the DACE staff and tutors. The Centre for Open Studies offers many and varied learning opportunities including day events, short courses, certificated courses and Access to university study. We offer an exciting range of daytime and evening part-time classes on campus in everything from Art to the Web. Many classes are ILA eligible. A range of classes is also available in East Dunbartonshire, Helensburgh and District, Renfrewshire, East Renfrewshire and Ayrshire. 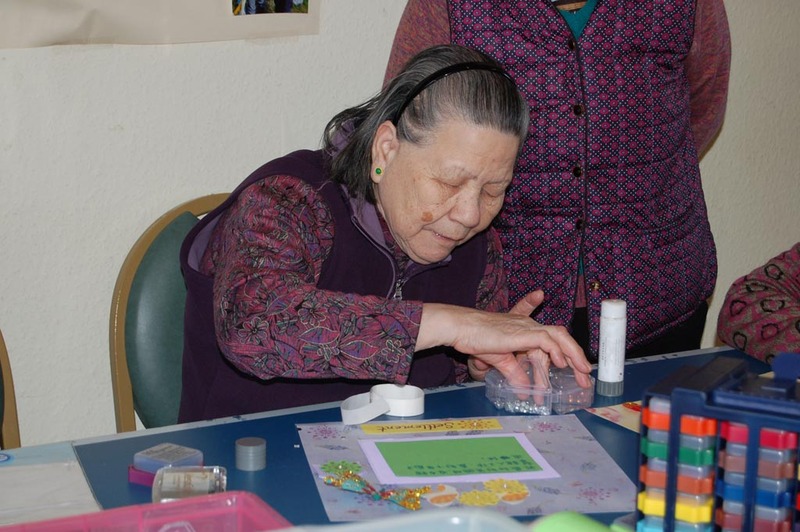 GWL has worked has worked within this network area to facilitate Reminiscence Sessions with Chinese Women in order to record their life experiences through one to one interviews and creating a scrapbook of memories. GWL worked with learners at the YWCA to help organise their archive material since the 1850’s and creating a scrapbook summarising the history. As well as this the women also created their very own life book documenting aspects of their life including family history; favourites/likes/dislikes; skills/experience; ambitions/aspirations, memorable stories; poems/creative writing, recipes etc. GWL has participated in the West End Festival for the past 5 years. 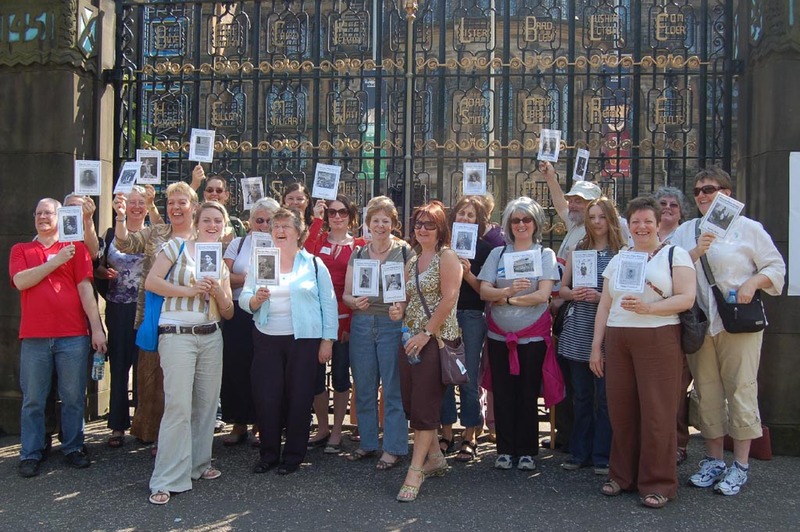 We have delivered versions of our West End Women’s Heritage Walk each year, launched our West End Women’s Heritage Map and this year have launching the first of our silent group podcast walks. FGN have worked productively with the GWL Women Make History group to support the development of a Women’s heritage themed Women’s Heritage Walk in the necropolis. This tour is now scheduled to complement the FGN’s existing walks programme and a new GWL map has been launched with support form the Friends. 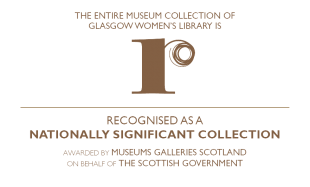 GWL is one of the few linked libraries to the Scottish Parliament Library. This link has been beneficial in facilitating visits by groups of GWL learners to the Parliament, and visits by Parliament outreach staff to help GWL expand women political literacy’s. GWL has worked in partnership with Pollokshields Health Shop to undertake the Health & Wellbeing Oral History Project where women from the south Asian community were interviewed and their stories will be disseminated by reading out on a local radio programme and through Glasgow Women’s Library. Glasgow Women’s Library and Muslim Women’s Resource Centre worked in collaboration with a community artist and Muslim women in Glasgow to produce posters on Violence against Women and Islam. Worked in conjunction with Forestry Commission Scotland and Backbone on a project called Our Space. Through theme-based conversations (such as water, trees, fire, medicinal plants, song/dance/story telling etc), we worked with 3 generations of south Asian immigrant families to make links between Scottish natural and native/homeland’s heritage. Want to know more about the visual arts in Glasgow? Follow the stories and conversations from the city’s venues as they happen. The Visual Arts Glasgow website draws in image-based social media posts from museums, galleries, heritage and craft venues including GWL to keep you up to date with the latest news. Share, browse, follow, like, favourite and visit! WEA Scotland’s WEA women@work project is a Highland-wide women’s network, which provides information, learning and support for working women (paid and unpaid). The Project helps women to understand issues, develop skills and become more able to speak out about things that matter to them at home, at work and in the community. W@W offers regular local network meetings in various locations across the Highlands and provides a forum to exchange ideas and opinions and to support women to share common experiences, while growing in confidence and making new contacts. GWL’s National Lifelong Learning project has organised workshops and a conference in partnership with WEA women@work. Paths for All is the national charity promoting walking for health and the development of a multi-use path network in Scotland. It is the leading national organisation promoting the health benefits of walking and supporting people in walking for health. GWL have worked with Paths for All to offer tour guide training, develop women’s heritage walks in Glasgow and our national conference, One Small Step was organised in partnership with Paths for All. Dundee International Women’s Centre (DIWC) is a community organisation providing a safe, friendly, comfortable environment for the personal development of all women, regardless of race, culture, faith/belief, age, ability or sexual orientation. It provides a wide range of social, educational, recreational and volunteering activities such as classes, training, information and advice, translation services and cultural or social events aimed at encouraging active participation, empowering women and providing a channel for their voice, in the local and wider community. GWL has organised workshops at DIWC on oral history and as a result of attending our One Small Step conference, DIWC staff are now proposing to develop a BME women’s heritage walk in Dundee. The national lifelong learning programme and the library archivist have worked with Dundee Libraries and Dundee Women’s Festival staff to facilitate workshops and an exhibition for the annual Dundee Women’s Festival. 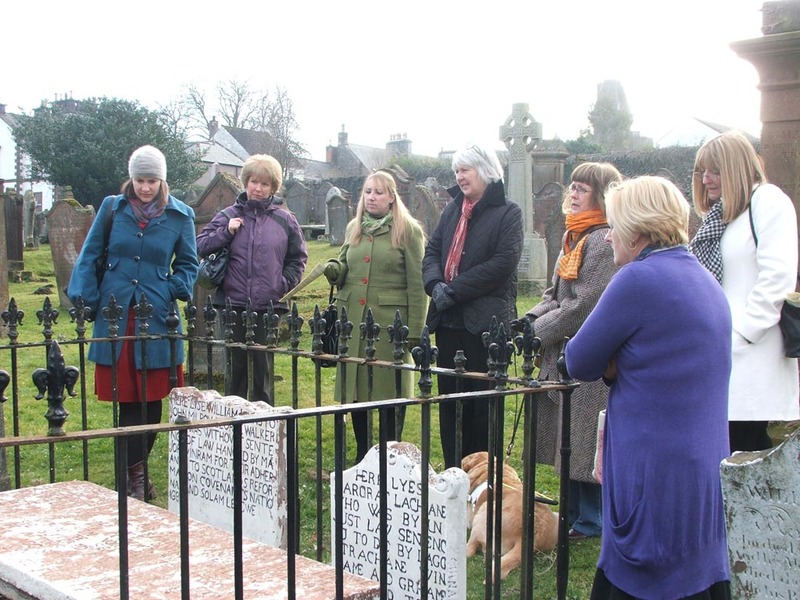 Wigtown women’s walk group launched their Wigtown Women’s History Walk in March 2010. The initial inspiration for the walk group was a talk given by GWL volunteer tour guides on their experience of developing a women’s heritage walk. Our National Lifelong Learning team have supported the group in further engaging the local community at local festivals through workshop activities focusing on women’s history and the group launched an anthology commemorating the walk and featuring poems and stories about Wigtown women on International Women’s Day in March 2011. Renfrewshire libraries provides a high quality, customer focused library and information service to the towns of Paisley, Renfrew, Johnstone and Erskine as well as smaller villages and rural communities. Our national lifelong learning team supported Renfrewshire libraries in working with Glenburn girls group. The girls, aged 12 upwards, worked on developing their confidence and literacy skills by doing creative writing and organising sponsored outdoor activities and discussing citizenship issues for young women. We helped the girls to pub lish an anthology of their writing and stage an event at the local community centre where they showcased the work and activities they have been involved in. Our national lifelong learning programme now works in partnership with prison service learning centres at HMP Greenock and Cornton Vale prison in Stirling to offer women in prison and women leaving prison learning opportunities which raise awareness of inequality issues which affect them and build their skills and confidence. 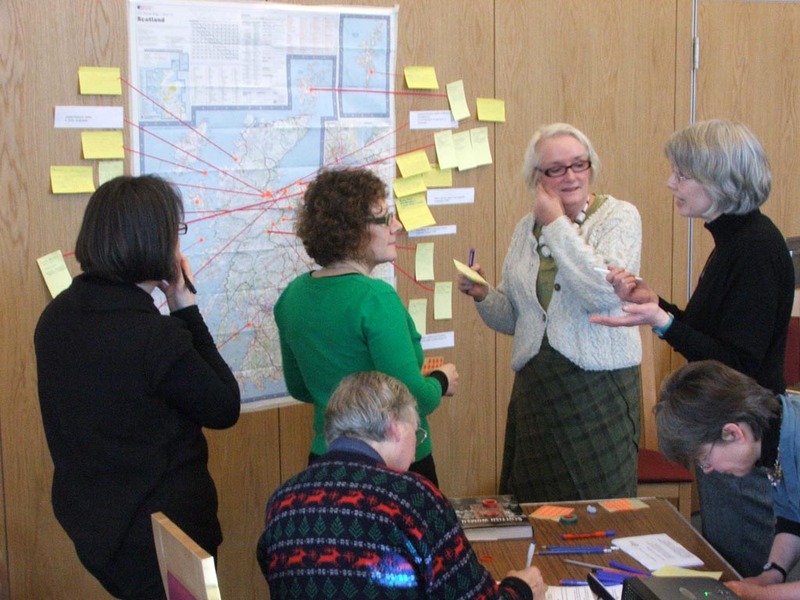 The Engender Women into Public Life project in Argyle and Bute aims to help women have their voices heard, influence the planning and delivery of services and engage locally and nationally in politics. Glasgow Women’s library works in partnership with the Women into Public Life project to offer workshops and other events to build skills and confidence and raise awareness of gender equality issues which affect Scottish women and their families. We are working in partnership with Dumfries and Galloway libraries to increase access to the Glasgow Women’s Library collection. We currently have a satellite collection of books in the Ewart library in Dumfries and a collection of graphic novels by women illustrators is has toured libraries in the Dumfries and Galloway area. The national lifelong learning programme works in partnership with Glasgow University’s Department of Adult and Continuing Education to offer accredited learning courses in researching women’s history on an outreach basis. Women in Clydebank and Coatbridge are now researching women’s history as part of the national lifelong learning/DACE outreach programme and more are being planned for the future. West Dunbartonshire Community Learning and Development have worked in partnership with Glasgow Women’s Library to facilitate the organisation of women’s history courses in the West Dunbartonshire area.